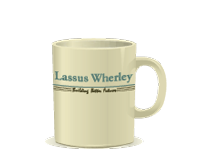 At Lassus Wherley, we believe that dedicated, ethical financial advisors can change lives. That's why our firm's leaders have deep roots in professional organizations that are advancing the financial planning profession and generating new entrepreneurial opportunities for women. Diahann W. Lassus, MBA, CFP®, CPA/PFS, currently serves on the inaugural Commission on Standards established by CFP Board in 2016. Through a deliberate and inclusive process, CFP Board has developed a draft of proposed revisions to the Standards that is intended to enhance the integrity and value of CFP® professionals to the clients and communities they serve. The draft proposal, titled Code of Ethics and Standards of Conduct, is a significant revision to the Standards with a range of important changes, including broadening the application of the fiduciary standard for CFP® professionals-effectively requiring CFP® professionals to put a client’s interest first at all times-and enhancing and updating standards related to financial planning. In 2013, Diahann was named to the inaugural CNBC Digital Financial Advisor Council and has appeared numerous times on CNBC as a representative of the council sharing her views on the markets and a variety of financial topics. She was reappointed to the council for 2014-2015, 2015-2016 and 2016-2017. Diahann was Chair of the National Association of Personal Financial Advisors (NAPFA) from 2008-2009 and board member from 2007-2009. Among her many achievements while on the board was to develop NAPFA's relationship with the Financial Planning Coalition (FPC), which has led the fight for pro-consumer reform of the financial services industry. Diahann in July, 2009, on behalf of the FPC, testified before the U.S. House Committee on Financial Services to stress the need for high competency and ethical standards for the financial planning profession. Diahann has been a member of NAPFA's Public Policy Committee (formerly the Industry Issues Committee) since 2006. She served on CFP Board of Standards, Board of Governors from 1994 to 1997. Diahann sits on numerous boards, including the New Jersey State Chamber of Commerce Board of Directors and the Board of Governors of the Florida State University College of Business. She was a member of the Center for Women's Business Research Board of Directors from 1994 to 2012. Diahann is a member of the Financial Planning Association (“FPA”), Financial Planning Association of New Jersey (“FPANJ”), American Institute of Certified Public Accountants (“AICPA”), New Jersey Society of Certified Public Accountants (“NJSCPA”), National Association of Women Business Owners (“NAWBO”), and Executive Women of New Jersey (“EWNJ”). Diahann is a NAPFA-Registered Financial Advisor and registered as an Investment Advisor Representative. Diahann is recognized in the industry as a pioneer of the Fee-Only profession and among the profession’s most influential members. She has worked tirelessly to promote Fee-Only financial planning and the many benefits it provides to consumers. Diahann was named one of NAPFAs 30 Most Influential and was awarded the Robert J. Underwood Distinguished Service Award by NAPFA. As an industry expert, Diahann has been interviewed by numerous prominent industry publications and has appeared on radio and television sharing her views on current events and topics and their potential impact on the profession, the markets and the economy, and consumers. InvestmentNews in commemoration of their 15th Anniversary named Diahann among the 25 people who have shaped the advice business. Diahann has been recognized nationally and internationally over the years by Wealth & Finance International, Worth magazine and Wealth Manager and is a multiyear (2012-2017) Five Star Wealth Manager award winner. She was honored at the Rothman Institute for Entrepreneurial Studies 20th Anniversary celebration as the inaugural speaker in 2004 for the Female Entrepreneurship Series. An edited version of her speech comprised a chapter in the book Entrepreneurship and Innovation: Global Insights from 24 Leaders commemorating the Institute's 20th anniversary. She was also featured in the book How Women Lead: The 8 Essential Strategies Successful Women Know. In 2013 Diahann was featured in an exclusive interview for The Wall Street Journal’s Mixing It Up column. Diahann was appointed by President Bill Clinton to the Retirement Savings Summit in Washington, DC in 1998 and by New Jersey Governor Christine Whitman to the New Sources of Capital Board in 1996. She was a delegate to the White House Conference on Small Business where she chaired the New Jersey Capital Formation Committee in 1995. Diahann has contributed to Biz Brain articles in The Star-Ledger of New Jersey and to articles on NJMoneyHelp.com. Through NJMoneyHelp.com people submit personal finance questions and financial advisors provide answers. Clare E. Wherley, MBA, CPA, CFP®, is Vice President and Membership Chair of the New Providence Business & Professional Association and Past President and member of the Summit Business and Professional Women's Club. She was a board member of the Youth ChalleNGe Foundation (Washington, DC) from 2010 to 2013. Clare is a member of the FPA, FPANJ, AICPA, NJSCPA, NAWBO, and EWNJ. Clare is a NAPFA-Registered Financial Advisor and registered as an Investment Advisor Representative. Clare has been recognized for her many contributions to her profession, clients and community. Clare is a multiyear (2013-2017) Five Star Wealth Manager award recipient and a 2014 Five Star Certified Public Accountant award winner. Clare was honored in 2012 at the Executive Women of New Jersey’s “Salute to the Policy Makers” Awards Dinner, and was named One of New Jersey’s 2010 Best 50 Women in Business by NJBIZ. She currently contributes to Biz Brain articles on nj.com and to articles on NJMoneyHelp.com. Deborah J. Rivosa, MBA, CFP®, CFA, was named one of New Jersey's 2012 Best 50 Women in Business by NJBIZ. In 2004, Deborah received the Tribute to Women & INdustry (TWIN) Award. This award recognizes women for their outstanding business and community achievements. 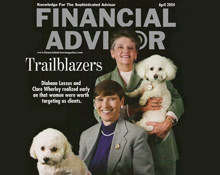 Deborah is a member of the FPA, FPANJ, CFA Institute, Hartford (Connecticut) Society of Financial Analysts, and EWNJ. Deborah is registered as an Investment Advisor Representative and is a NAPFA Associate. Dawn Brown, CFP®, wrote financial articles for Blackenterprise.com as a contributing editor for BE Smart, and had an article published in the American Association of Individual Investors magazine on Grandparents Gifting for College Education. Dawn has been quoted in various media publications, including The Wall Street Journal, Black Enterprise, Money Magazine, NY Daily News and Consumer Reports. She has presented financial seminars at the New York public library and for the AARP Freedom Tour. She is registered as an Investment Advisor Representative and is a NAPFA Associate. Dawn is a member of the FPA and FPANJ. Jodi A. Cirignano, MBA, CFP®,CPA, is a member of the FPA, FPANJ, AICPA, and NJSCPA. She is registered as an Investment Advisor Representative and is a NAPFA Associate. Jodi is a 2017 Five Star Wealth Manager award recipient. Jodi currently contributes to Biz Brain articles on nj.com and to articles on NJMoneyHelp.com. Lisa McKnight, MBA, CFP®, volunteered to be one of the Fee-Only financial advisors offering free advice to consumers during the Your Money Bus Tour sponsored by The National Association of Personal Financial Advisors Consumer Education Foundation, TD AMERITRADE Institutional and Kiplinger's Personal Finance magazine. She is a member of the NAPFA New York Metro Study Group and is a member of the FPA and FPANJ. Lisa is registered as an Investment Advisor Representative and a NAPFA-Registered Financial Advisor. She is a 2016 and 2017 Five Star Wealth Manager award recipient. Lisa currently contributes to Biz Brain articles on nj.com and to articles on NJMoneyHelp.com. Lisa is President of the Community Service Association of New Providence, NJ. Betty Thomas is registered as an Investment Advisor Representative and is a NAPFA Associate. Betty has a New Jersey Life and Health Insurance License. She is a 2016 and 2017 Five Star Wealth Manager award recipient. Betty currently contributes to Biz Brain articles on nj.com and to articles on NJMoneyHelp.com. She is a board member of PMP AIDS Foundation. Lassus Wherley participates in study groups to learn from other professionals and contribute information about our experiences. The participants of these groups include other firms’ owners and advisors. In these meetings we discuss best practices, industry opportunities, challenges and risks we face. The goal of our meetings is to leverage each advisor’s experience and expertise to strengthen the community of financial planning professionals.